Under California law, a person who stays in the state for other than a temporary or transitory purpose is a legal resident, subject to California taxation. “Temporary or transitory” is a term of art. Vacations or brief transactions, such as signing a contract or giving a speech, constitute temporary or transitory purposes that do not confer residency. But time is less important than purpose. If a rock band from Seattle were so inclined to rent a Malibu beach home for the sole purpose of partying for an entire year, they theoretically would not become residents (I wouldn’t advise this). But quantity has a quality all its own, and at some point, the time spent here indicates an intent that is other than temporary. The Franchise Tax Board, California’s taxing authority, determines intent not by what people say, but by what they do. Spending long periods of time in California usually indicates an intent to reside here. Related to that, you often hear about the six-month presumption, with the suggestion that if you stay six months or less, you are not a resident, and if you stay more than six months, you are. While a good rule of thumb, the six-month presumption is more complex than that (see, my article “The Six-Month Presumption in California Residency Law: Not All It’s Cracked Up To Be“). Generally, however, the more time you spend in California, the more likely you will be deemed a resident. And the converse is also true. Coming to California for an indefinite time or purpose falls outside the temporary or transitory category. There are numerous (older) cases of taxpayers staying in California to soak up the warm weather for health reasons with no definite date for leaving in mind. The results are always the same: they were deemed residents. Similarly, extended stays for retirement or employment that involve an indefinite period with no obvious termination date, confers residency. Note that this means, a nonresident can work temporarily in California without becoming a resident, if they plan carefully. This is something relevant to software programmers, actors working on a movie, and managers sent by their employer to a California branch for a time-limited purpose. How does the FTB determine whether a visit has a temporary or permanent purpose? First, understand, there are few bright-line rules (unlike some states, which impose residency based on time spent in-state). Rather, California uses a “facts and circumstances” test, meaning it looks at all the facts about a taxpayer’s situation to determine residency status. Not very helpful. • Location of your spouse/registered domestic partner and children. • State in which you maintain professional licenses. This is only a partial list of factors, which tend to show up in case law. 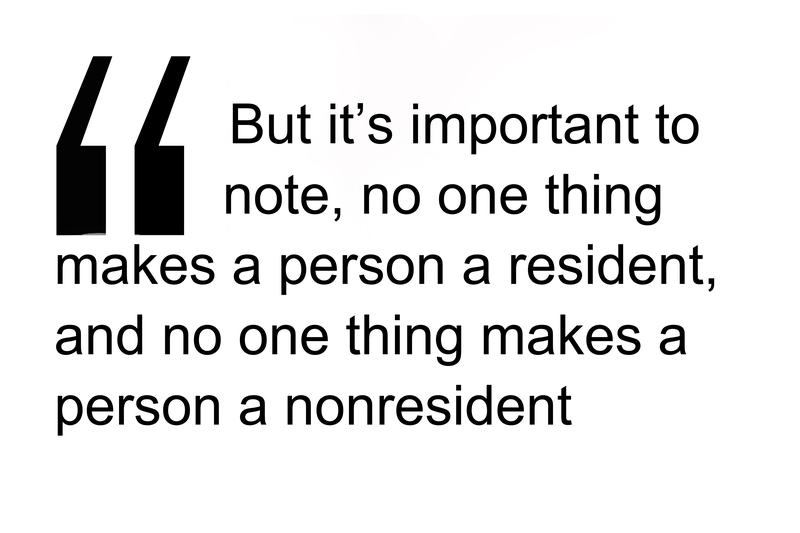 Other facts loom large in residency audits, but rarely show up in appeals. For instance, if a nonresident puts the address of his California vacation home on his federal tax return, he is asking for an audit. The same is true if you use a California address for tax forms generated by businesses, employers or financial institutions (W-2s, K-1s, 1098s and 1099s). 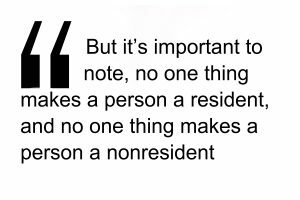 But it’s important to note that no one thing makes a person a resident, and no one thing makes a person a nonresident. It is all the facts and circumstances taken together. So What’s A Snowbird To Do? Tax issues aside, nonresidents like to vacation in California, especially if they come from wintry states (the so-called snowbirds). And many even invest and start businesses here, while planning to retain their residency elsewhere. They have a right to do so. Again, no one thing makes a person a California resident. The key is to take precautions and undertake some planning to avoid common mistakes that confer legal residency, or at least that trigger an intrusive residency audit. First, know the rules for keeping your nonresident status. Nonresidents who spend time in California for temporary purposes have a presumption of nonresidency if they follow certain guidelines. The total amount of time you spend in California during the year has to be six months or less. You can own a vacation home (but it should usually be smaller or have less value than your main out-of-state residence). You’re allowed to have a small local bank account to handle your financial needs related to your stay (something that isn’t even necessary anymore with interstate/online banking). You can have a membership in a local country club. Limit your California contacts to these, and you will probably avoid an audit. This won’t guarantee your nonresidency status, but it will keep the law on your side during an initial review. Second, keep your local profile low. California doesn’t know you’re here unless you or the financial institutions you deal with let them know. Generally speaking, the FTB is not looking for you; residency audits are usually triggered by some tax document being sent to Sacramento which piques their interest. For instance, any interest generated on your local bank account gets reported to the FTB on a Form 1099 “information return.” You can fly under the radar by opening a non-interest bearing account. It may cost a few dollars in interest, but it may avoid an expensive residency audit. Given the ease with which you can access funds across state lines, if it isn’t necessary for you to open a local account, don’t. Similarly, make sure other informational tax forms (such Form 1098s for mortgage interest, W-2s for wages, or K-1s from entity distributions) are never sent to your vacation home. Instruct your mortgage lender, broker, entity or other financial institution to use your out-of-state address, even if it’s inconvenient. The most common mistake a nonresident can make is to use a local vacation home address for financial and tax documents. Copies are sent to the FTB, and when the FTB cross references them with your name and finds no California tax return has been filed, they send out a special notice (called a 4600 Notice), asking about it. This can be a precursor to a residency audit. The same is true for bills from all local professional services (which may result in 1099s issuing). I can say from experience, many avoidable residency audits are triggered by this minor mistake. Of course, owning a second home in California is only one scenario. Some nonresidents own and manage California businesses, and only visit here occasionally for business purposes. 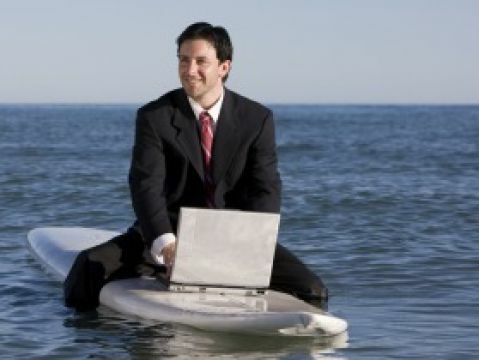 Others may work temporarily in California. Founders of startups may want to change residency before exiting their company or making an IPO. Each of these situations require specific planning to ensure nonresidency status and minimize residency audit risk.